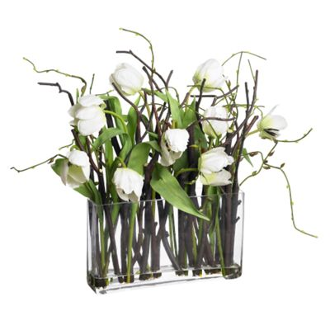 Tulips n' Twigs in a beautiful clear vase. Flower delivery Los Angeles and surrounding cities from Royal Florist in LA. $10 Flower delivery charge.